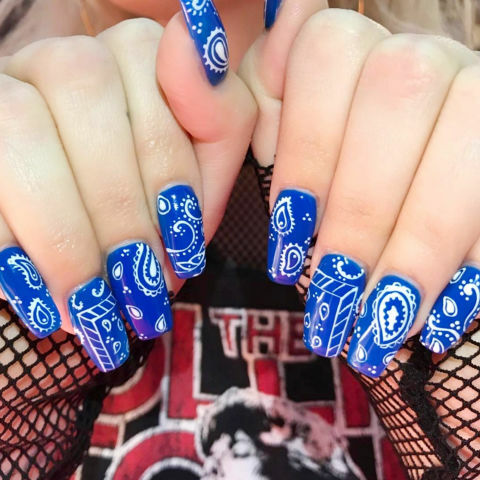 New York City nail artist Mei Kawajiri reinvents a classic bandana motif in bright blue. 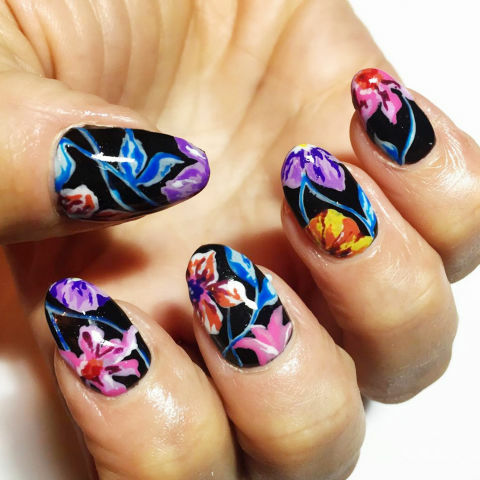 A Kenzo-inspired floral design by downtown nail pro Naomi Yasuda. 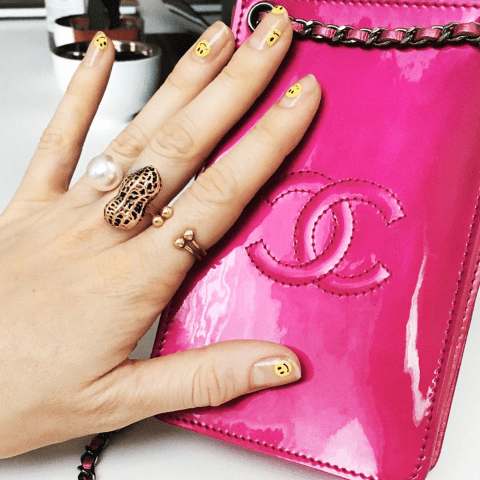 When your nails match your MCM bag, by Sally Hansen Global Color Ambassador Madeline Poole. 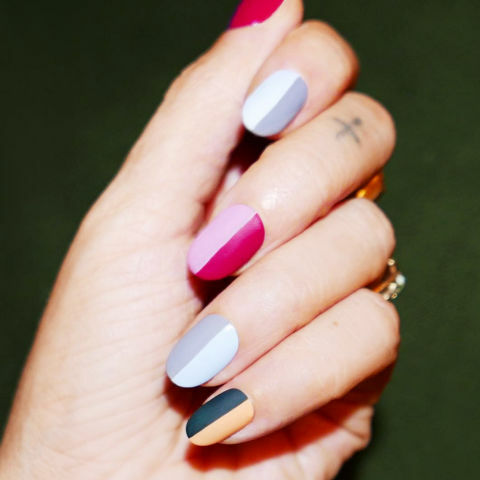 Alicia Torello tops two-tone nails with a matte topcoat. 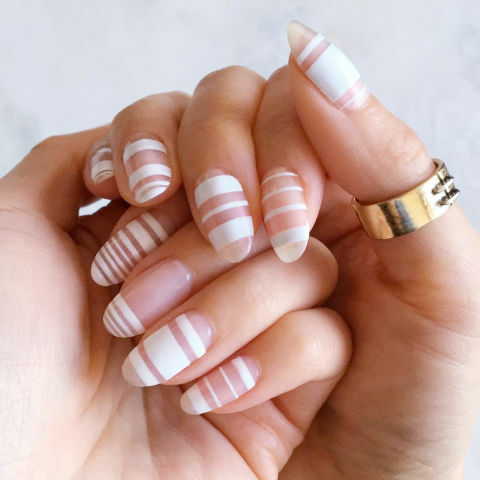 Ada Yeung riffs on a French manicure with extra stripes and negative space. 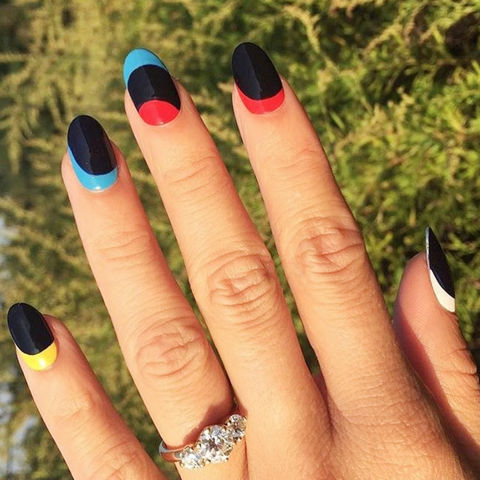 Nail artist Holly Falcone plays with primary colors. 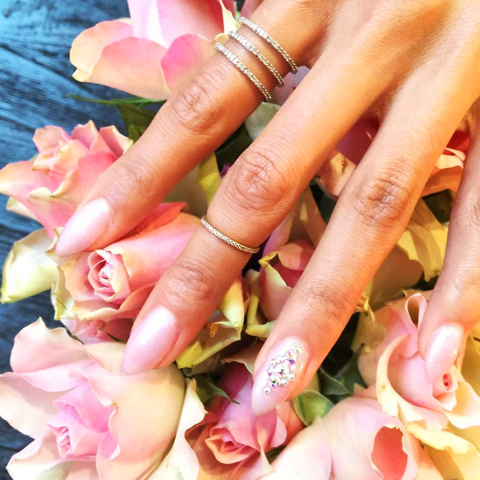 Pattie Yankee gives designer Carly Cushnie’s ring finger a cluster of crystals. 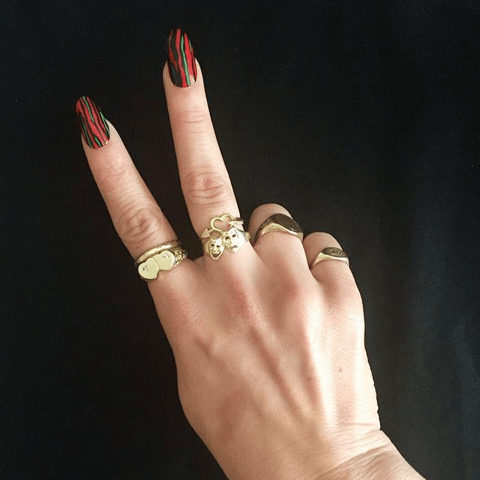 Falcone pays homage to the late Phife Dowg with this Tribe Called Quest inspired design. 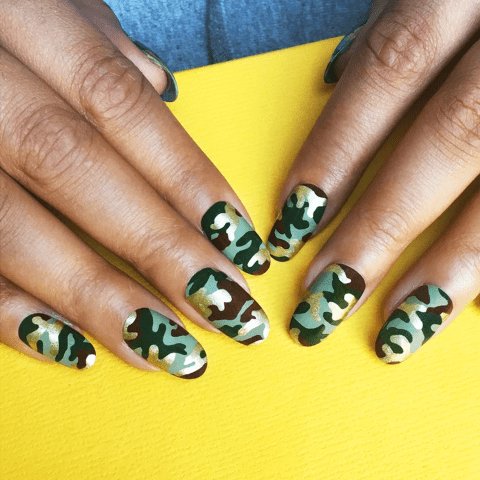 Poole’s hand-painted design skills shine extra bright with this army motif. 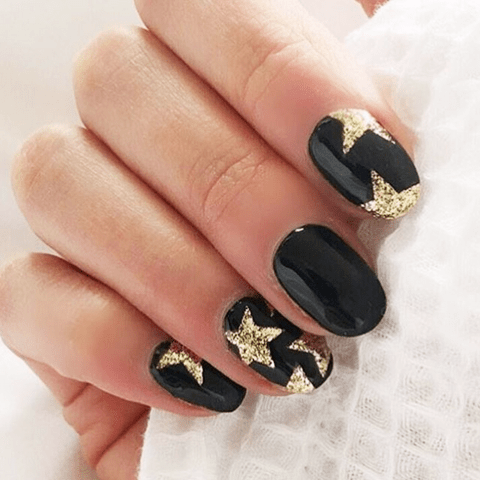 Yasuda’s night sky design works all summer long. 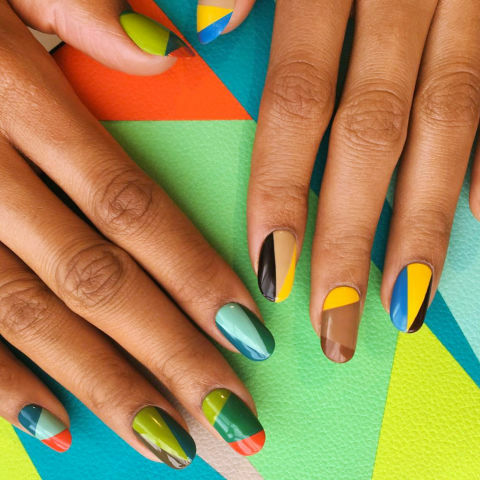 Poole’s emoji mood nails are easy to recreate by using the head of a nail dipped in yellow polish as a stamper.